Even if you never studied regularly in your life, it’s is exam time and it’s about time you got serious. The first step is forming a routine. And this needs to be completely tailored to you, which is why you want to start early. There will be a trial and error period through which you will find out what works for you and what doesn’t. 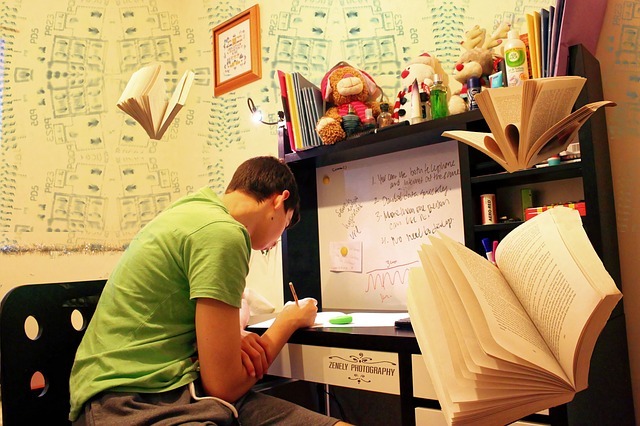 You can try having a set time every day when you study for exams: after lunch, in the morning or whenever works best. Alternatively, you can have a set amount of time you need to study for – for example, two hours – which you can do in as many intervals as you want that last however long you want. Or you can set yourself a goal of picking up your books every two hours. Doesn’t matter how long for, but you make the effort to study for a bit every two hours. You won’t remember anything just by reading it from the books. There is a simple rule that goes: if you can’t explain something simply, then you don’t understand it well enough. This is very true, and the reason why writing notes in your own words is so helpful with remembering things and making sure you actually understand what you’re saying. However, we don’t always have time to write our own notes, which is why it’s a great thing that you can find ready-made VCE notes written by former students, as well as notes for other universities, courses and classes no matter where you’re studying. It’s important to study from the books, but it’s even more important that, when you are reading your study notes, you understand them fully and can elaborate on them if asked to do so. If you are just aimlessly going through hundreds of pages, waiting for your exams, you are going to feel like it is all for nothing and that you are getting nowhere. But there is a way to combat this feeling. Set yourself clear study goals with rock-solid deadlines. It can be for learning a certain amount of chapters, finishing a subject or just learning the first chapter of each subject. Make sure your goals are realistic but still big enough for you to not get too comfortable and finish everything by the final deadline. At the end of each goal, you should find a way to check if you reached your goal. Find someone to ask you a few questions from your study notes or find a test that quizzes you on the area that you’ve covered. Make sure that you go over the previous goals as well to make sure you don’t forget something in the end. The most important thing to remember is that no matter how confident you are, you can’t prepare a big exam the night before and expect a good grade. Take the time to slowly but surely learn the content, because in the end – it’s not about the grade, it’s about the knowledge you will receive and keep for the rest of your life. Scarlet Gratton is a passionate writer and regular contributor at highstylife.com interested in fashion, lifestyle, and health. She loves traveling, you could say that she is a real travel addict, especially when she has a chance to visit some exotic destinations. She would tell you that inspiration can be found in the most unexpected places.